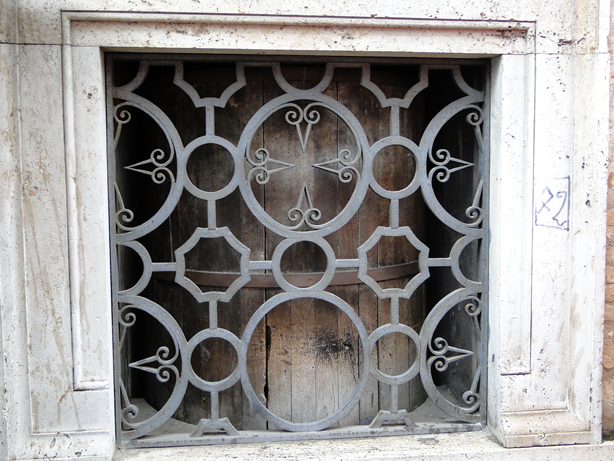 Santo Spirito in Sassia is one of the world’s oldest hospitals. Located on the river bank, next to St Peter’s square, it was for centuries Rome’s main public hospital, home to abandoned babies, homeless wanderers and lost pilgrims. The story goes back to the year 727 when Ina, king of Wessex, decided to create a neighbourhood near St Peter’s for the Saxon pilgrims. As part of the area known as Borgo Sassia (from the word Saxon in Italian) a hospice was built to cure sick pilgrims and give them a temporary shelter, as if they were in their homeland. It worked as a refuge for pilgrims for centuries, until Pope Innocent III (pope during 1198-1216) decided to expand it in order to save and protect the illegitimate babies who were regularly killed or drowned in the Tiber. Innocent III appointed Guy de Montpellier, founder of the Order of the Holy Spirit around 1180, to manage the new hospital because of his experience in running similar institutions in France. The Holy Spirit Order was already known for running places of shelter in France, where Guy de Montpellier opened the first hospital in his home town of Montpellier in the South west of the country. The order’s principal mission was to cure and give a home to anybody in a miserable situation whether physically or mentally, in particular abandoned children. The Borgo Sassia hospital, which was renamed Santo Spirito in Sassia (Holy Spirit), flourished under its new management, the Pope himself taking a direct interest in its daily activities. 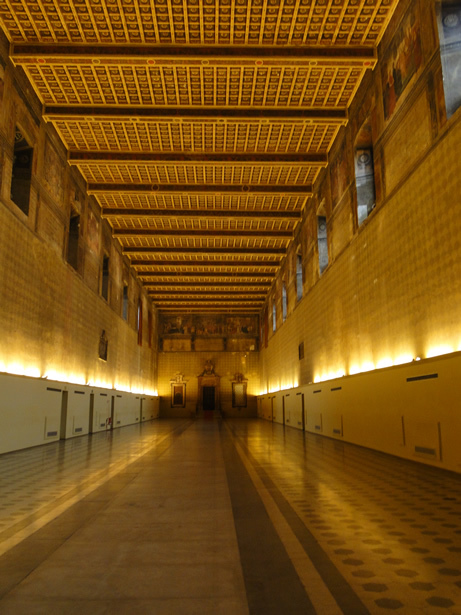 So much so that when the popes moved to Avignon in the 14th century, the hospital suffered from neglect. It was only in 1471 that Pope Sixtus IV from de Della Rovere family, decided to revive and expand it to create the long room we can still visit today: the Corsia. Its proportions are impressive: 120 metres long, 20 metres wide and 13 metres high. It could host at least 300 patients in large beds of four people each, top and tailing. The long room was split into two sections to separate men from women. To ease the pain, music was played from an organ during meal times, and the walls were decorated in frescoes representing the life of Sixtus IV as well as the dream of Innocent III of saving illegitimate babies. The middle room still contains an altar designed by architect Palladio, as well as the original wooden ceiling, while the paintings along the wall were attributed to non identified Umbrian painters. Only one of the panels, representing the Vatican Library created by Sixtus IV, is attributed with almost certainty to Melozzo da Forli. A special revolving cylinder, which can still be seen today, was designed into the outside wall to anonymously leave abandoned babies to the hospital. In a few minutes, mothers were able to drop their unwanted babies in a dedicated hole in the cylinder, turn it around towards the inside to leave their babies to safety and run away unidentified. A number of Roman children were hence brought up by the Order, many of them providing singers for the Pope’s choir. In the mid-15th century, a cardinal was appointed to replace the Pope as official director of the hospital, and a palace was built next to it, the Palazzo del Commandatore. In 1605, the hospital was given as a guarantee by Pope Paul V Borghese to create the Santo Spirito Bank, which has become today the Banco de Roma. Santo Spirito in Sassia remained operational until the 1970s, when it was integrated into a newly built modern hospital. In Vittorio de Sica’s movie, Umberto D, one of the final scenes is filmed in the Corsia, which shows exactly how the hospital worked in the 1950s. The film’s main character, begging in the street, ends up finding temporary shelter there. 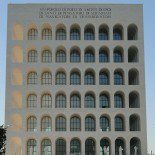 This entry was posted on May 27, 2010 by Salambo in Arts and culture, English, Renaissance Rome and tagged Borgo spirito, corsia sistina, hospital, oldest, palladium, Rome, santo Spirito in Sassia, Vatican, vatican library.